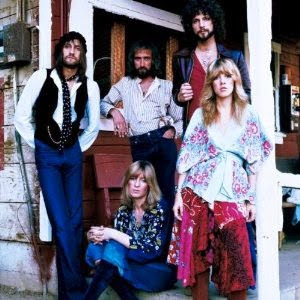 Mick Fleetwood, John McVie, Christine McVie, Stevie Nicks, and Lindsey Buckingham: all terribly talented yet terribly tumultuous. Onstage, the dazzling quintet of musicians and performers enrapture their audience, a seemingly perfectly knitted tapestry living the classic rock band dream. But backstage, behind closed doors, and beneath the thin curtain of disillusion, they unraveled into a mess of loose strings that began to fray into a disarray of calamity. 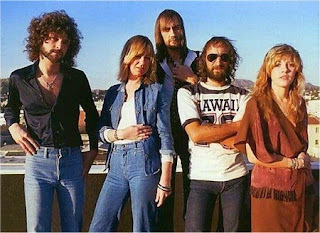 This barely cohesive team, known as Fleetwood Mac, stayed together with the weakest glue and never completely fell apart. Plagued by mishandled relationships and frustrations, the band underwent fourteen lineup changes since the original lineup was coordinated by Mick Fleetwood in 1967. With the adoption of John McVie came the addition of his wife, Christine McVie, in 1970. 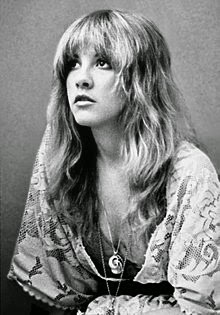 Though Bob Welch remained a loyal member of Fleetwood Mac for the majority of their amateur days, in 1974 Lindsey Buckingham and his girlfriend Stevie Nicks joined, and with the exception of a couple brief break-offs, played with them into the present. Succumbed by the glorious life of a rock star, the group of friends fell victim to heavy partying and a tangle of relationships. Once unhinged from the spotlight attention onstage, they became increasingly disconnected from reality. 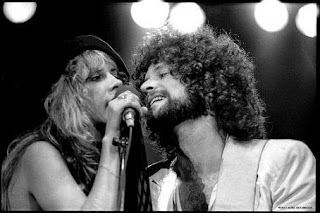 Love affairs between Nicks and Buckingham, the McVies, and Fleetwood and Nicks became a messy knot of confusion and pain, causing distress between them all and ultimately forcing them apart. Though they reassembled into the most common lineup that the world of classic rock recognizes today, their affairs behind closed curtains were disloyal and ugly. Despite these mishaps, Fleetwood Mac became one of the most esteemed classic rock bands of the 70s and 80s, making it to the top hits list for songs featured in nearly all of their albums. 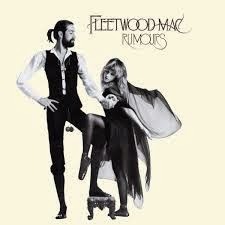 Rumours (1977): "You Make Loving Fun", "Go Your Own Way", "Dreams", "Don't Stop", "Never Going Back Again", "The Chain", "Gold Dust Woman"
Mirage (1982): "Gypsy", "Hold Me"
Tango in the Night (1987): "Tango in the Night", "Little Lies", "Seven Wonders", "Big Love"
As for Fleetwood Mac's style, it is evident from the variety of their songs that they experimented with different styles (and succeeded), including blues forms in their younger years and pop forms as they transitioned into the 80s. Combined, they created some of the greatest hit songs known to classic rock that appealed to a wide range of ears. Today, they continue to tour with the core lineup. As a matter of fact, Fleetwood Mac was just recently in Miami at the American Airlines Arena for their "On With the Show" tour on March 21. Aside from musical styles and techniques, Fleetwood Mac crafted a unique visual style as well. As seen in their album covers and elaborate music videos, Fleetwood Mac loved playing dress-up. Rooted in the seventies, they adopted the hippie-style clothing and hairstyles that many other artists of the time were featuring, including the natural and down-to-earth look of blue jeans, vests, skirts, and flowing, patterned blouses. 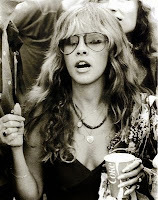 As they rounded the corner into the eighties, their style blended into the makeup-obsessed media - particularly with Stevie Nicks - yet they stayed true to their calm, mellow style and relaxed ambiance. 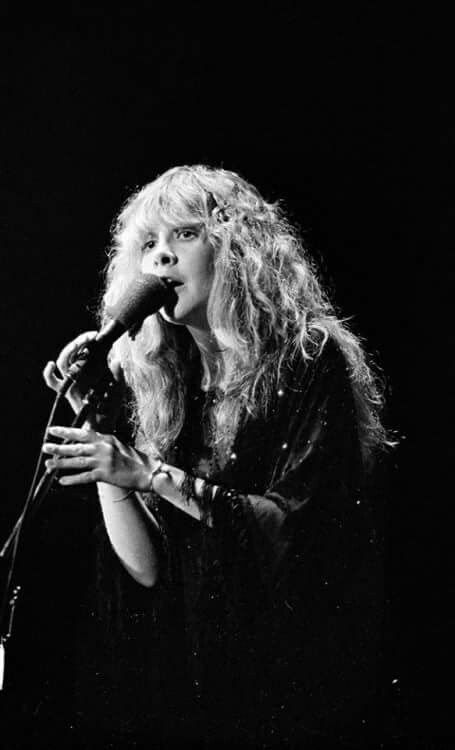 Stevie's long, flowing, fitted dresses and southern Gothic look have become her trademark. Personally speaking, Fleetwood Mac is among my top five favorite classic rock bands. Their music is truly legendary and beautiful to listen to. It's true that virtually all of their albums include great music, all of which include a variety of songs ranging from pumped and upbeat to mellow and mystic, focusing on vocals and instrumental. Frustratingly, though they were just here, Fleetwood Mac is on my bucket list of concerts to attend (along with Queen, as mentioned in last week's post), and each of their songs cause an involuntary desire to sing along to the catchy lyrics and tunes. In reality, it's amazing that this group in particular stayed together for so long while battling romantic complications and managing to produce great-quality albums with top-hit songs. Fleetwood Mac was inducted into the Rock and Roll Hall of Fame in 1998. 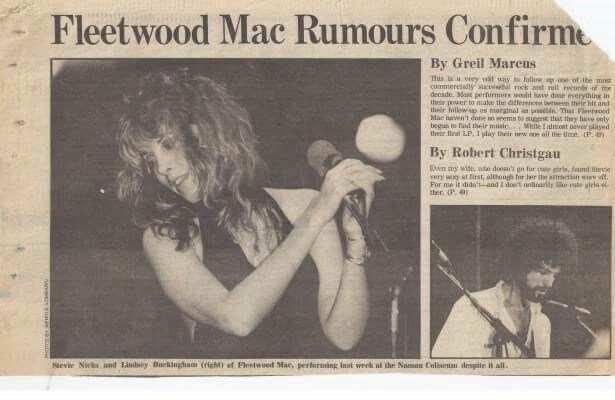 Here's a nice little journalism tie-in... an article about the band with a play words in the header; Rumours was the name of one of their most famous albums. As always, if you would like to read more about Fleetwood Mac, their current tours, and view their merchandise, fly on over to their website. I honestly love how much you put into your blog. I personally am a big fam of rock music and I thuroughly enjoyed your blog! Marlowe, I know I already commented on here last week but I just can't resist your blog!! This is amazing, sincerely. I love Fleetwood Mac, and this blog post!!! I think its safe to say, your blog….rocks :) haha see ya! Show your classic rock enthusiasm! Select your favorite artists from the list below.